Community radio has been around since the Supreme Court declared airwaves to be public property back in 1995. 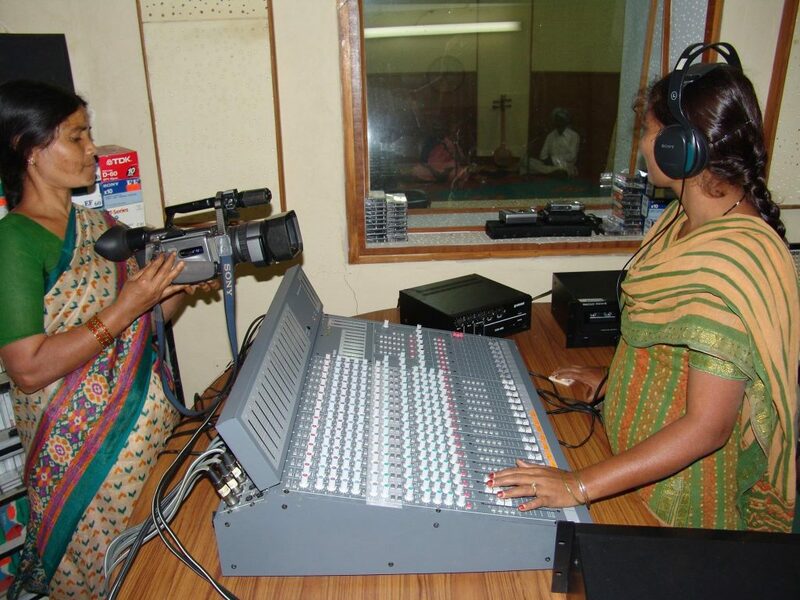 The idea behind community radio is to bring news and views specially designed for a local community and as of March 2016, India has 152 such radio stations, broadcasting to nearly one lakh people per station. While this number is nowhere close to the 4,000 community radio stations promised by the government in 2007, this audio genre has caught the imagination of some and remains popular among those who feel left uncatered to by contemporary mass media. The chief consumers are rural women, who are also often at the centre of their station’s management. Despite India’s technology and media boom, news and mainstream media remains largely inaccessible in small Indian villages. Take Mewat in Haryana, which feels relatively isolated from the booming National Capital Region that is only 70 kms away from it. It’s served instead by Radio Mewat. 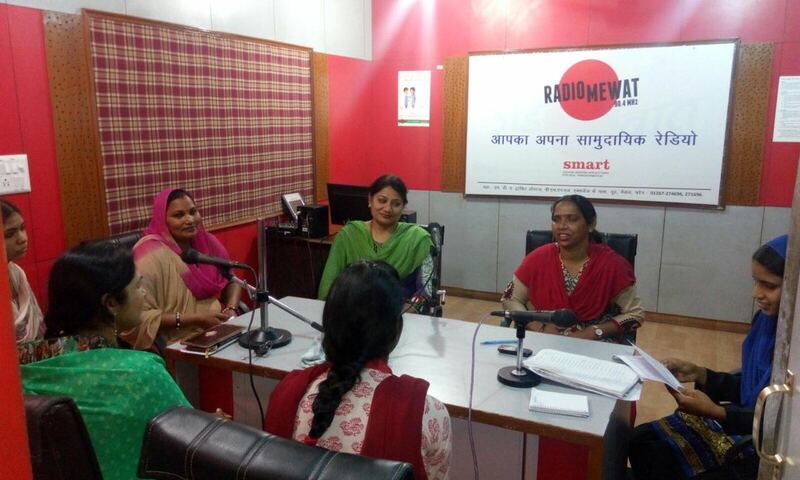 Or Saiyere Jo Radio, which serves 54 far-flung villages in western Kutch, run by the Collective of Women Friends, which in turn is managed by the Kutch Mahila Vikas Sangathan (KMVS), a network of rural women’s collectives. So what does it mean for disenfranchised women to produce their own media? 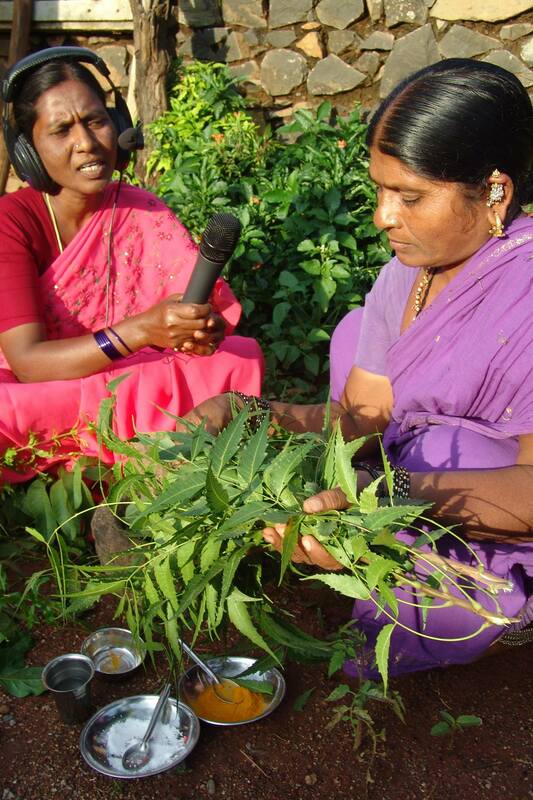 Salma works with her husband at Bengaluru’s Radio Active, a community radio station started in 2007. The duo are touted as “the world’s first wife and husband waste-picker RJs” and they co-host the daily show, Kasa Shramika Parisara Rakshka. When Salma first became a radio jockey (RJ), everyone at the godown where she used to work as a waste picker encouraged her to continue since her programme uniquely dealt with their own work problems – like the state of the facilities and equality in working conditions. She still visits the godown to discuss workers’ issues and says that many others approach her as well. The women running these community radio stations argue that their impact is evident in their respective towns and villages. 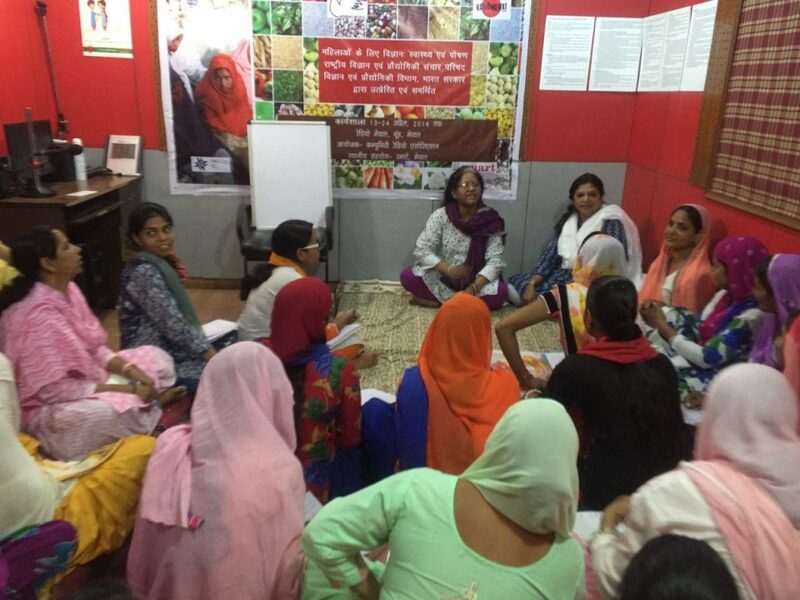 “One girl worked with us from 2012 till 2016 and contested the panchayat elections,” said Archana Kapoor, Director of Radio Mewat and founder of SMART (Seeking Modern Applications for Real Transformation) NGO. 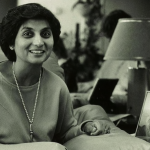 “Many women who have worked here moved on to become assistants at the nearby medical college, teachers, or hold government posts,” she said and pointed to their programmes for women, like Mahilaon Ki Baat, an hour-long show that discusses issues like women’s hygiene, the necessity educating girls and other subjects pertinent to women’s everyday lives. The programme encourages women to call in since and there is another woman on the other end of the line, it has raised the confidence levels of many women in the community. 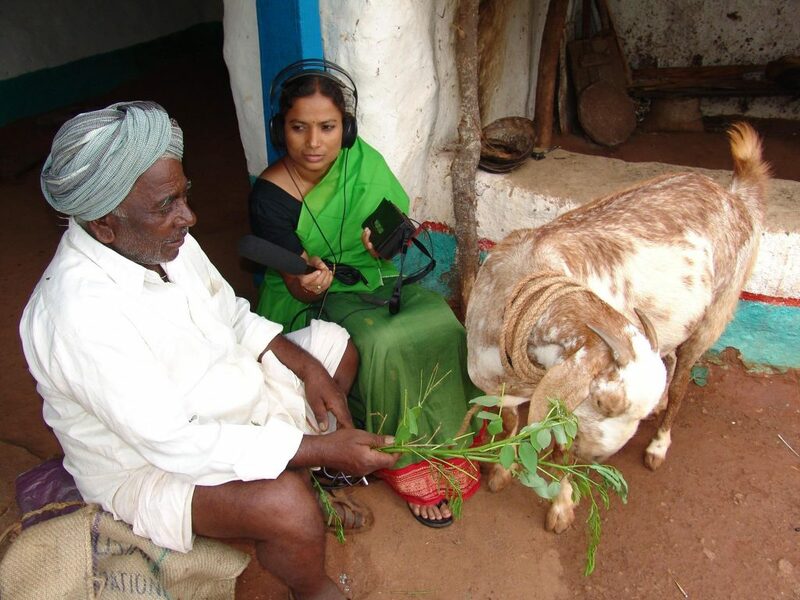 “I’m not very educated but this station has helped me realise the importance of education and participation,” said Sarifa, Saiyere Jo Radio’s station manager in the village of Bhimsar in Kutch, Gujarat. “The community has helped us a lot in making our programmes a success, such as interviews on animal husbandry, agriculture, children’s shows, and songs.” In a KMVS video, Sarifa discussed how the station’s increasing popularity meant many more parents in the village were now encouraging their daughters to further their education and get jobs. It is no wonder that community radio stations continue to thrive despite the rise of telephony and Internet. Their funding often comes from the involvement of NGOs, and some have reservations that the community factor in community radio isn’t as large as intended – that the NGOs remain mostly in charge of management while the community hosts and manages editing and broadcasting. 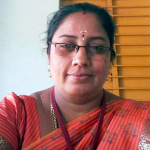 As per Tejaswini Dantaluri, who works at Deccan Development Society (DDS) as a liaison with Sangham Radio, the NGO’s involvement with the station is mostly to provide funding and training for the community in the village. In the case of Saiyere Jo Radio as well, according to the KMVS video, the NGO’s involvement seems to have been limited to recruitment and setting up the transmission tower and other equipment. 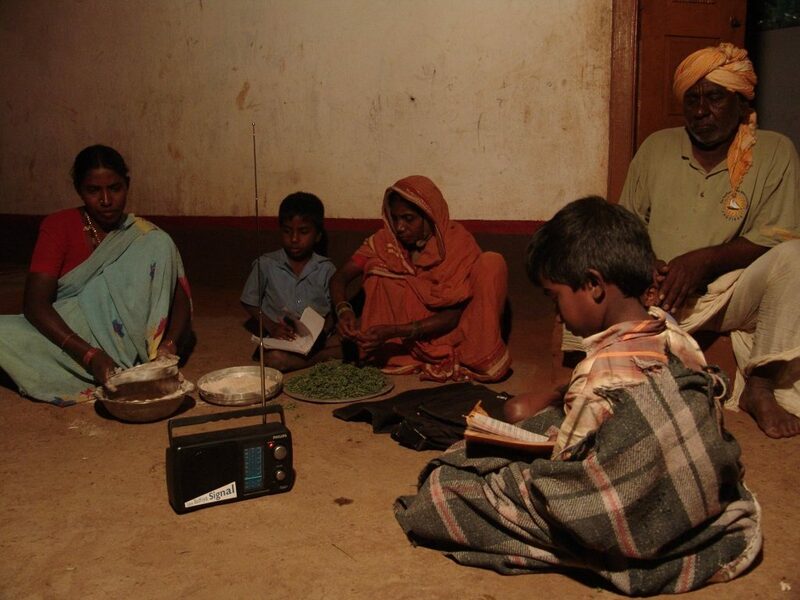 Community radio is thriving, and according to Kapoor, there’s a simple reason for this. “The community don’t have access to the internet, but are keen to learn more about their own culture and practices. 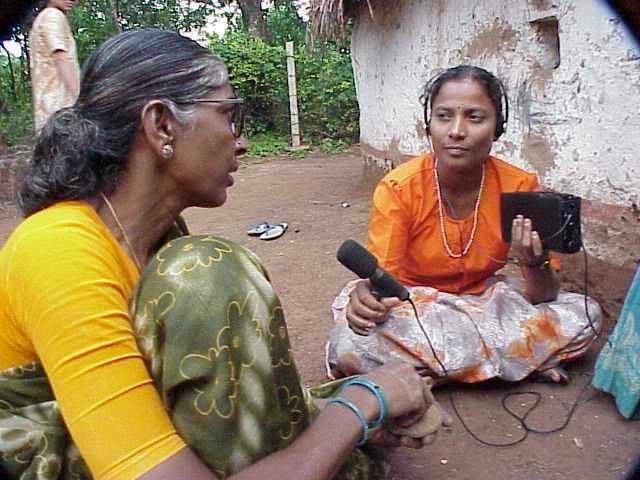 Community radios facilitate this at minimal cost, which works out better in the long run for everyone.” While most media news focuses on the proliferation of the internet and its influence, it’s good to remind ourselves of the reality of Indian audiences and how one of the oldest forms of mass media is enabling Indian women under the radar.